Magento gives you unprecedented flexibility and the choice to be creative, innovative, and to launch your web store in ways that will make you faster, bolder, and more attractive than your competitors. And when combined with Springboard's customizable and data-driven POS solution, you can take your retail enterprise to new heights. 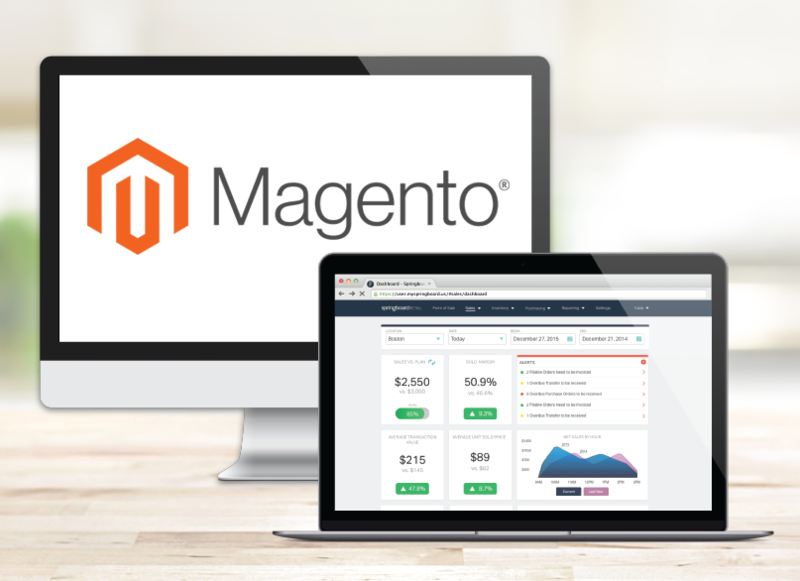 Have questions about the Springboard and Magento POS integration? Let's talk! Already a Springboard Retail customer and ready to integrate with Magento POS? Simply LOG IN now!